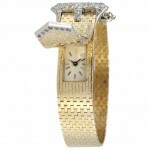 No one will see you discreetly check the time when you are wearing your covered watch. 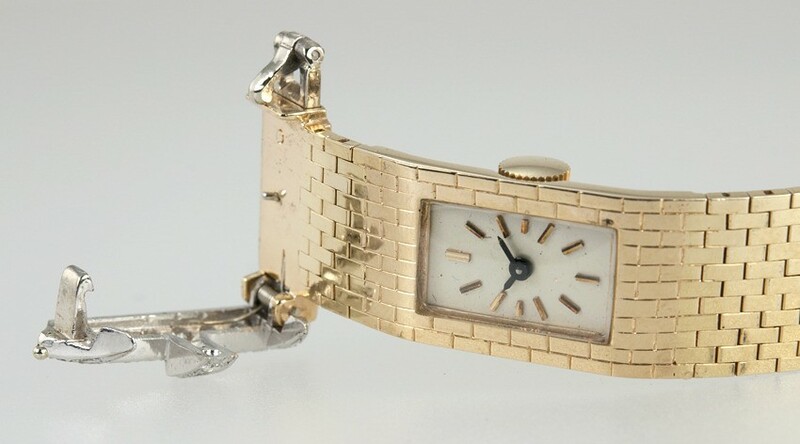 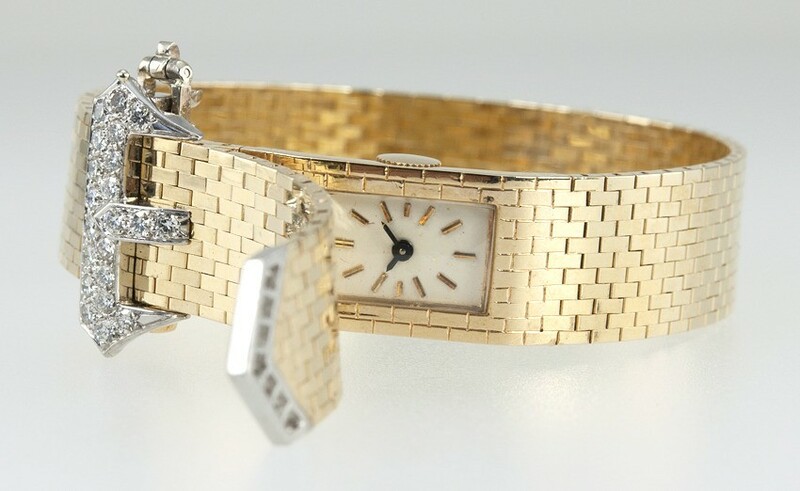 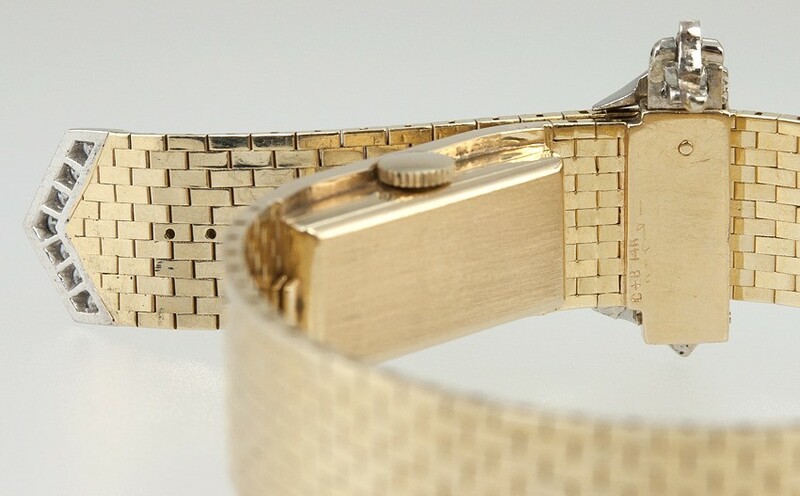 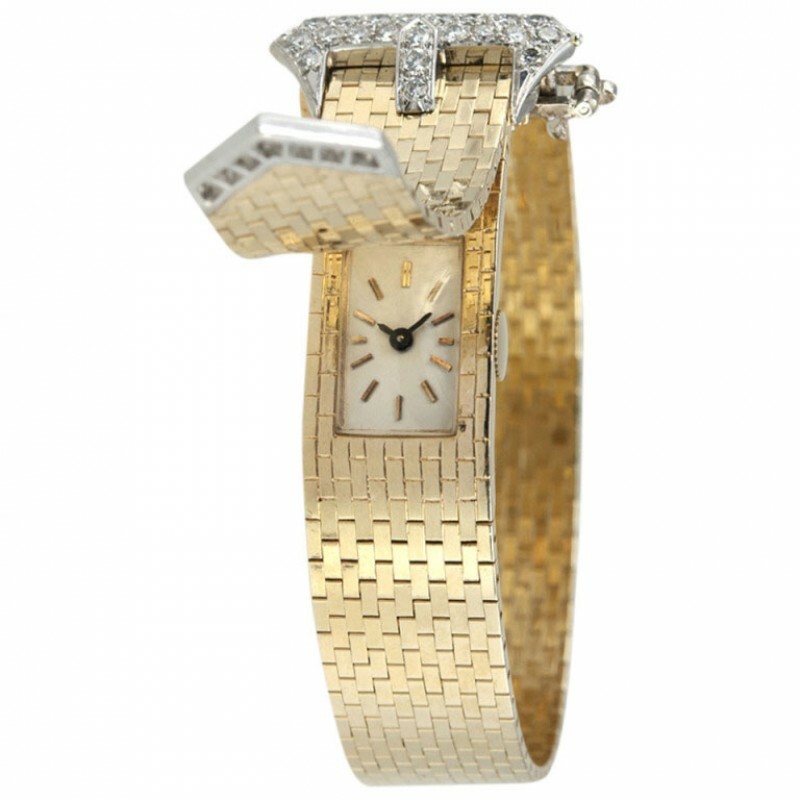 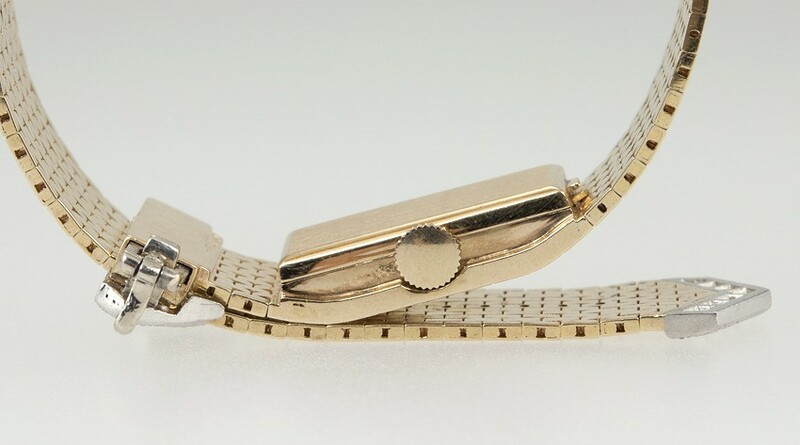 This 14k yellow gold bracelet has a Swiss manual-wind watch hidden underneath. 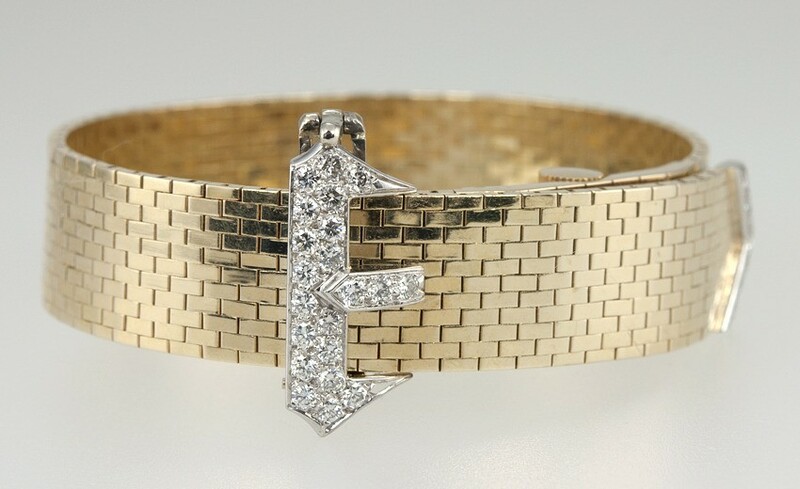 Set with 0.75 carats of diamonds. 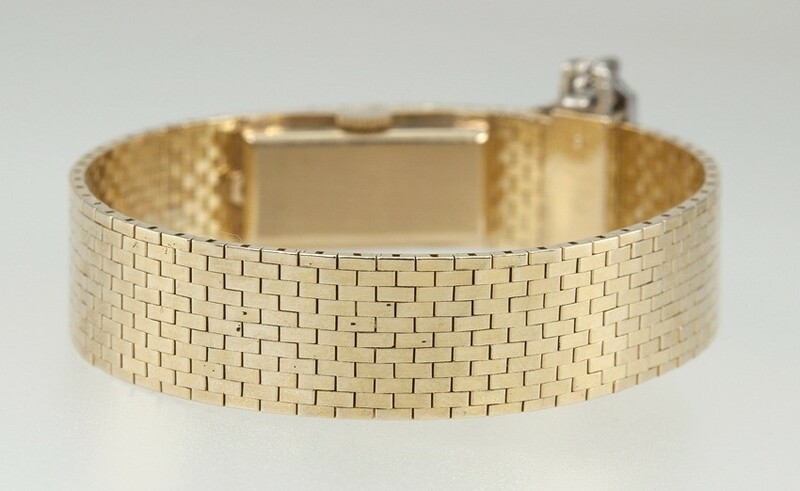 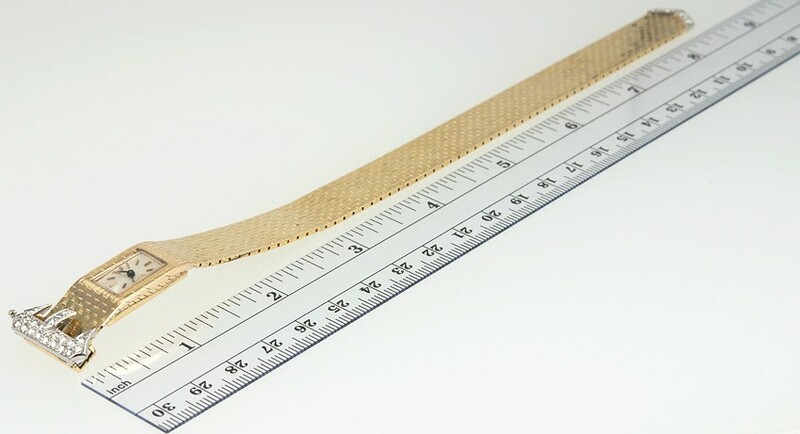 Fits a 6 to 7 inch wrist.